My housemate returned from the bottle shop yesterday afternoon with a perplexed expression. “You bought scotch instead, didn’t you?” I raised an eyebrow. For this recipe, you will need to find a bottle shop that sells wine. Or you’ll need to get leftover wine – the type I was hoping to get instead of leftover scotch. However it is that you manage to procure your wine doesn’t really matter. You just need it. You need it because you NEED these pears. 1. Bring wine, water, sugar and spices to the boil. 2. Add the pears, reduce the heat and simmer for 45 minutes to an hour. 3. Serve hot or cold with a slice of ricotta, a handful of walnuts and a drizzle of honey. These look simply stunning!! 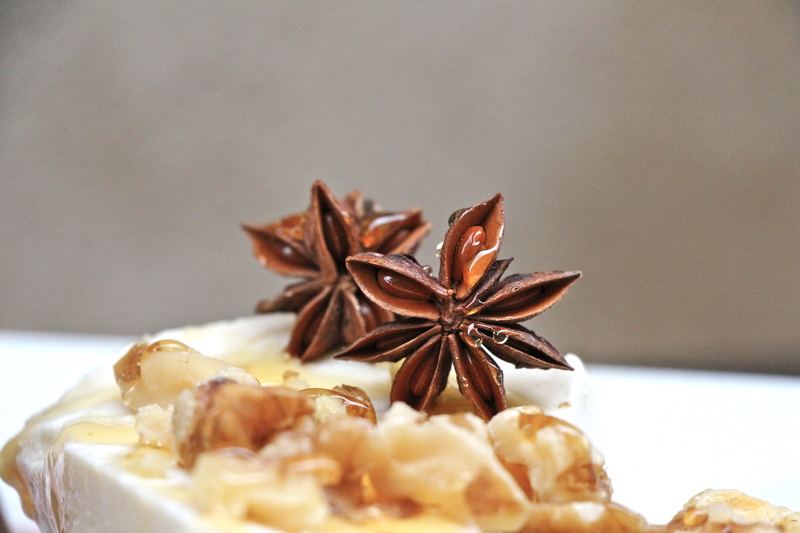 I love the looks of star anise! The pears look stunning! 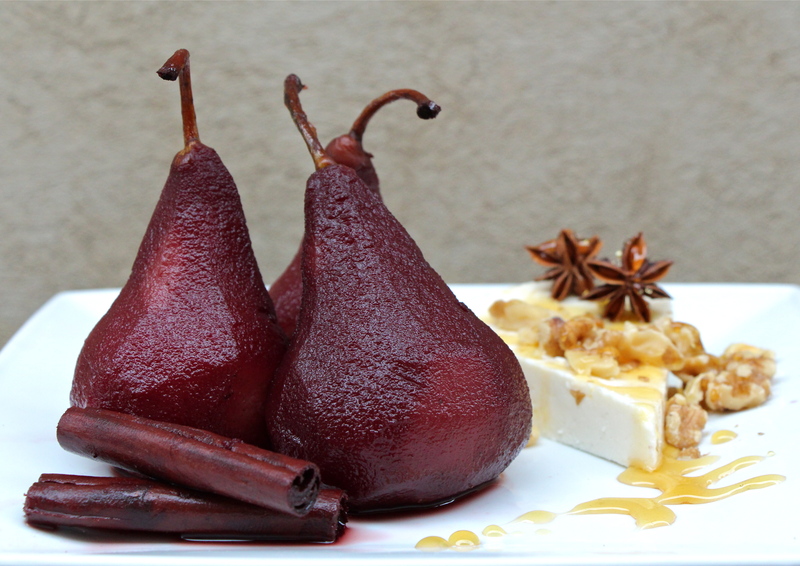 Ricotta with honey and walnuts is just divine by itself, but adding the pears is a great idea. What a luxurious and sophisticated dessert – yum!